How can people throw things like this in nature? I hope nobody breaks it, but instead pick it up, and put it in the right place. Thanks for the reminder, Manoli. 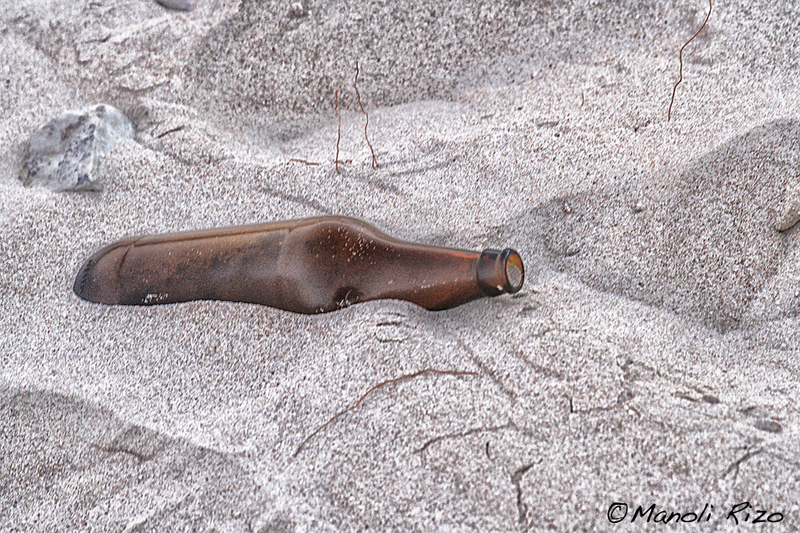 And it is a great photo with the brown in the bottle and the little brown in the surroundings. Lo que no se entiende es: si han encontrado un lugar bonito, al que poder supuestamente volver, ¿por qué lo dejan lleno de basura? ¿Es que les gusta, y tienen así su casa?